Hanko is a bilingual port town and municipality on the south coast of Finland, 130km west of Helsinki. Kick off your visit on the 16th (Fri): stroll through Bellevue Beach and then trek along Tulliniemi Nature Path. For maps, where to stay, more things to do, and tourist information, go to the Hanko holiday planner . Tirana, Albania to Hanko is an approximately 11.5-hour flight. You can also drive. Traveling from Tirana to Hanko, you'll lose 1 hour due to the time zone difference. While traveling from Tirana, expect colder days and little chillier nights in Hanko, ranging from highs of 23°C to lows of 12°C. Finish your sightseeing early on the 16th (Fri) to allow enough time to drive to Turku. Relax by the water at Ispoinen Beach and Sauna and Vepsa Island. Lohjan Pyhan Laurin Kirkko the Church of St Lawrence Lohja and Kylamaki Village of Living History are good opportunities to explore the local culture. There's lots more to do: trek along The Archipelago Trail, take in the spiritual surroundings of St Henry's Ecumenical Art Chappel, admire the masterpieces at Ett Hem Museum, and let little ones run wild at Adventure Park. To find reviews, traveler tips, more things to do, and other tourist information, you can read our Turku sightseeing planner . Drive from Hanko to Turku in 2 hours. In August in Turku, expect temperatures between 23°C during the day and 12°C at night. 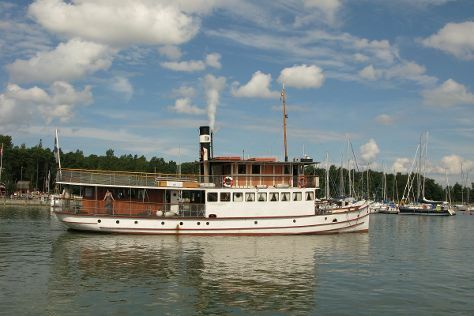 Finish your sightseeing early on the 20th (Tue) so you can travel to Mariehamn. Mariehamn is the capital of Åland, an autonomous territory under Finnish sovereignty. Start off your visit on the 21st (Wed): test your team's savvy at popular escape rooms, then get engrossed in the history at Kobba Klintar, then tour the pleasant surroundings at Lilla holmen, and finally take in the waterfront at The Maritime Quarter. Get ready for a full day of sightseeing on the 22nd (Thu): see the interesting displays at Aland Hunting & Fishing Museum, see the interesting displays at Kastelholm Castle, and then step into the grandiose world of Jan Karlsgården Outdoor museum Jan Karlsgården. Find out how to plan Mariehamn trip without stress by asking Inspirock to help create an itinerary. Traveling by flight from Turku to Mariehamn takes 2 hours. Alternatively, you can ride a ferry. In August in Mariehamn, expect temperatures between 22°C during the day and 13°C at night. Wrap up your sightseeing on the 22nd (Thu) early enough to travel to Rauma. Rauma is a town and municipality of ca. 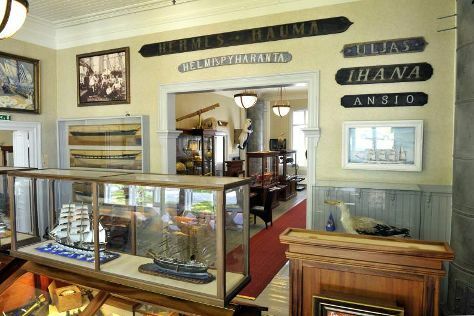 Kick off your visit on the 23rd (Fri): explore the different monuments and memorials at Burial Site of Sammallahdenmaki, brush up on your military savvy at Rauman Merimuseo - Rauma Maritime Museum, then examine the collection at Marela Museum House, then stop by Ruokapuoti Lumo, and finally pause for some serene contemplation at The Church of the Holy Cross. Get ready for a full day of sightseeing on the 24th (Sat): take in the architecture and atmosphere at Central Pori Church (Keski-Porin kirkko), take an in-depth tour of Rosenlew Museum, make a trip to Juselius Mausoleum, then get engrossed in the history at The Old Town Hall Museum, and finally get to know the fascinating history of Old Rauma. To find other places to visit, maps, where to stay, and other tourist information, use the Rauma trip planning app . Do a combination of flight and bus from Mariehamn to Rauma in 3.5 hours. Alternatively, you can do a combination of ferry and car; or do a combination of ferry and bus. August in Rauma sees daily highs of 22°C and lows of 12°C at night. Finish your sightseeing early on the 24th (Sat) so you can drive to Vaasa. Do some cultural sightseeing at Pohjanmaan Museo - Osterbottens Museum and Mustasaaren kirkko. You'll explore the less-touristy side of things at Kvarken Archipelago World Heritage Site and Kaupungintalo - City Hall. Change things up with these side-trips from Vaasa: Seinajoki (Civil Guard and Lotta Svard Museum & Seinajoki Library). To see ratings, maps, traveler tips, and more tourist information, go to the Vaasa trip itinerary website . You can drive from Rauma to Vaasa in 3 hours. Alternatively, you can take a bus. In August, plan for daily highs up to 22°C, and evening lows to 12°C. Cap off your sightseeing on the 27th (Tue) early enough to travel to Kotka. Kotka is a city and municipality of Finland.Kotka is located on the coast of the Gulf of Finland at the mouth of Kymi River and it is part of the Kymenlaakso region in southern Finland. Get a sense of the local culture at Kotka Church and St. Nicholas Orthodox Church. Discover out-of-the-way places like Katariina Seaside Park and Linden Esplanade. Next up on the itinerary: identify plant and animal life at Riverside Park, admire the landmark architecture of Saint Peter and Saint Paul Cathedral, admire the natural beauty at Sibelius Park, and tour the pleasant surroundings at Beach Mansikkalahti. For photos, other places to visit, ratings, and tourist information, read our Kotka tour itinerary builder app . Traveling by combination of flight and train from Vaasa to Kotka takes 5.5 hours. Alternatively, you can drive; or take a train. In August, daytime highs in Kotka are 23°C, while nighttime lows are 13°C. Wrap up your sightseeing by early afternoon on the 31st (Sat) to allow time for travel back home.